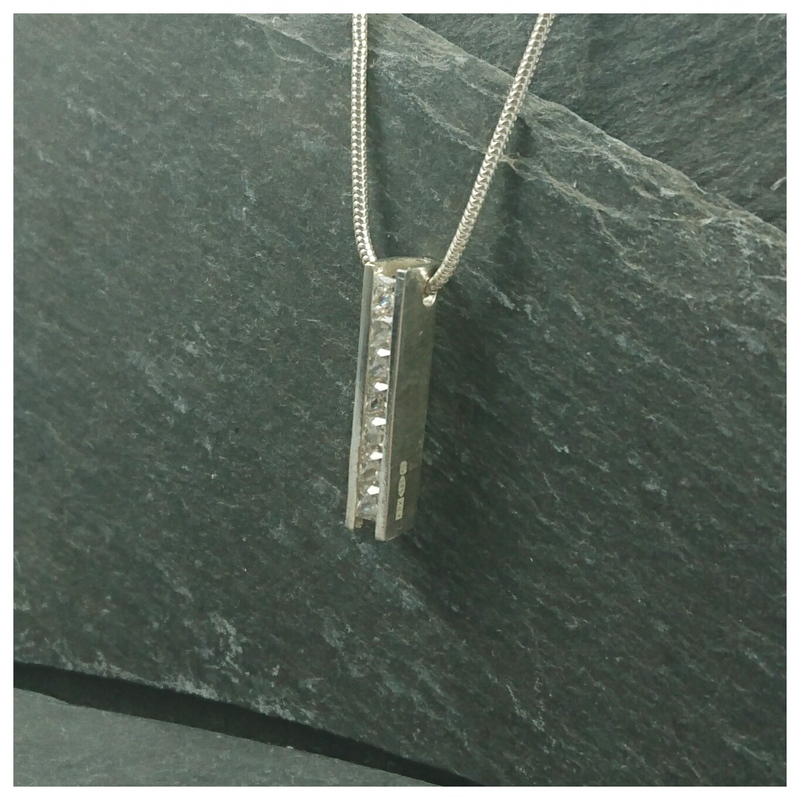 This is a gorgeous channel set pendant. It can be worn any time of the day or night and for any occasion, a must have piece of jewelllery. This is a gorgeous channel set pendant. All handcrafted and unique in design this channel set pendant is made from sterling silver and set with cubic zirconia. It is fully hallmarked and comes with an 18 inch snake chain. This is a gorgeous understated piece of jewellery and can be worn day to night and for any occasion. Look for the matching channel set earrings too!